Infinity style scarf with pocket. 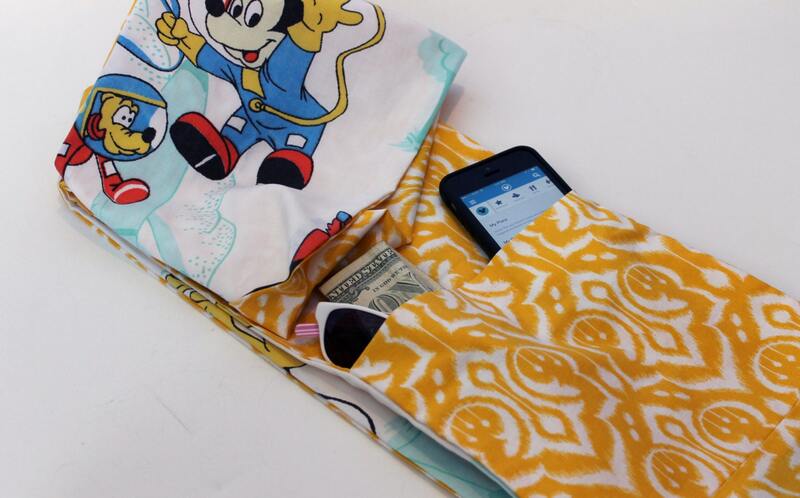 The pocket is a perfect size for storing your cell phone, sunglasses or wallet. 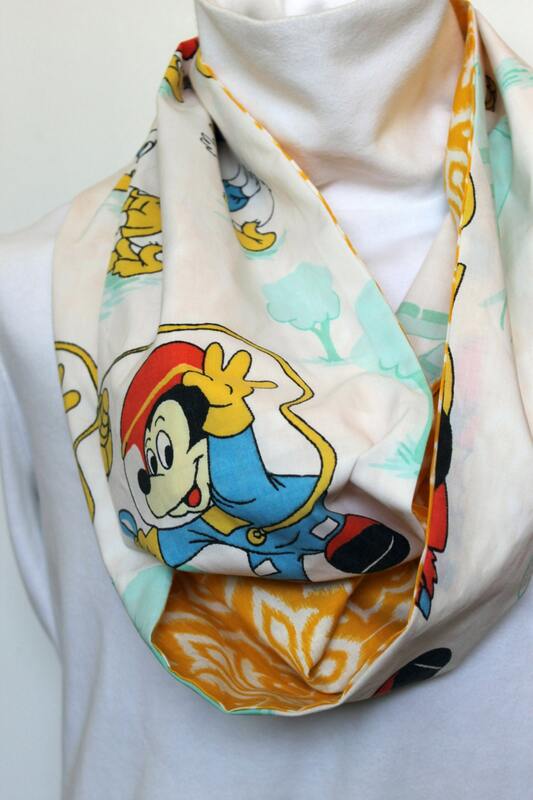 This scarf is an essential for visiting any if the Disney Parks. 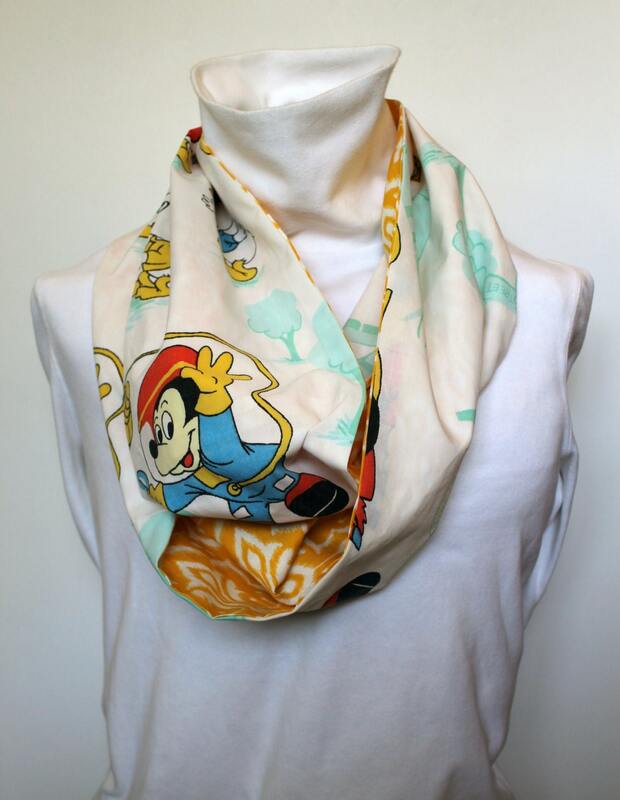 Show you love for Disney by wearing this fun infinity scarf featuring a vintage Mickey Mouse and Minnie Mouse. The front fabric is white and features the character images. The other side is yellow coordinating pattern. The fabric used to create this scarf came from an upcycled bed sheet. This is perfect gift for the eco-conscious shopper.